As I turn up to the news I can’t help but write a post on this tragedy. 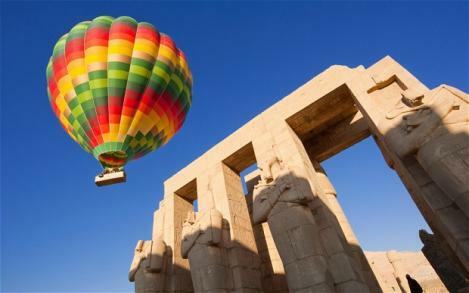 An Egypt hot air balloon has just crashed killing 19 tourists from China, Japan, France and England. Britons are reportedly among those killed in the crash, along with tourists from Hong Kong, Japan, Belgium, France and Egypt. NBC news has reported that Two British were among those killed, with nine Chinese citizens from Hong Kong, four Japanese, two French and two unidentified. Very scary! The tourists in this video got lucky. What should be the wonderful final of a magnificent holiday ends as a balloon crash in the Nile and a hard confrontation with a boat.